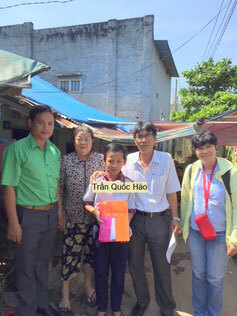 Scholarship Award in Tây Ninh - givekidsadreams Webseite! 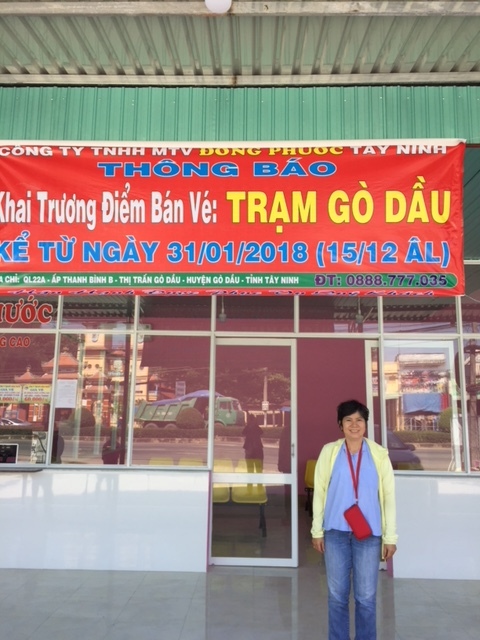 On February 3rd, 2018, Mrs. Ninh Hong and Mrs. Ngoc Anh set out their day at 5:30 a.m., heading to South East from Saigon to Tây Ninh, a province located approximately less than 3 hours on bus, where they would expect to meet with the two staff representatives of the "Association for Promoting of Education" (Hội Khuyến học). 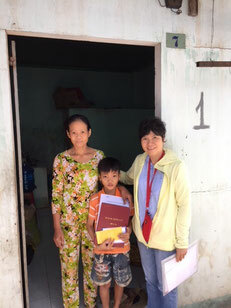 Arriving at the schoolground by 8:30 a.m., the two ladies met the four students and their families who are qualified the Award Scholarship from different schools - Hùng Vương Primary School, Chu Văn An Secondary School, and Trần Hưng Đạo School. Upon meeting the four students and their parents, Mrs. Ninh Hong and Mrs. Ngoc Anh explained to them the criteria of the Greenleaves (Lá Non) Award Scholarship program, based on the performance of each student’s effort in class. Our two ladies then visited families of these students in their houses. With the ladies of the "Association for Promoting of Education"
After completing their visits in Tay Ninh, Mrs. Ninh Hong and Mrs. Ngoc Anh took a bus, bound to Gò Dầu province, about 40km from Tây Ninh, to visit the other two students of Lê Văn Thới Secondary School. Being greeted by teacher Quang - a principal of student Hào, who was responsible for the scholarship award. 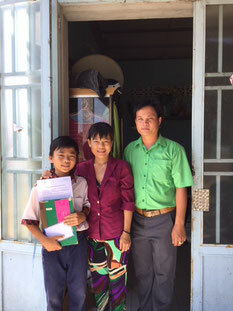 Teacher Quang was willing to lead them to student Hao’s house, meeting with his family. Lê Minh Khánh is in the 1st grade; his mother appeared as an ailing woman, whose husband died of stroke when she had a pregnancy. Mother and son live in a rented room, costs 650.000 VND a month (about 23 €). 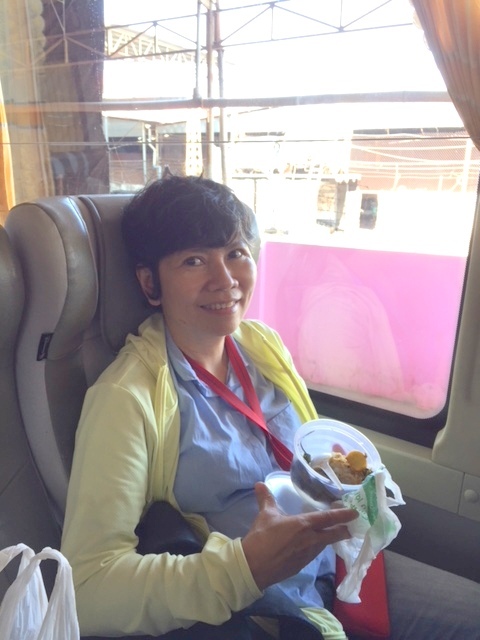 Minh Khánh’s mother earns 110.000 - 120.000 VND per day by cracking cashew nuts. Due to family in low income, she has no health insurance, and can’t afford any medical treatment. Mink Khanh’s daily activities are quite difficult; their day starts early in the morning, the mother left him at the school canteen at 5:00 a.m. before her set out to work. By noon, a young monk from a temple in town, who also attends this elementary school, takes him back to the temple to stay and rest, and then they head back to school together in the afternoon. Đinh Phạm Minh Khôi (3rd grade) 's father is a steelworker at a cutting, welding iron factory in Saigon. With an income, roughly is about 5 million VND/month, his chance to see his family not quite often, but only once a month. Minh Khôi’s mother works as a maid in the morning, and in the afternoon, she helps hair washing or manicuring in a hair salon. Her earnings is about 3 million VND/month. Minh Khôi’s house is described as a tole plank roof, in wood plank house walls, temporarily built on the state-leased land. Lý Thị Thu Thảo (6th grade)'s father died of cancer when she was at 3. Her mother left her and moved to Cambodia to live. Thu Thảo lived with her aunt in a rented room since then, costs 1 million VND/month. Her aunt works as a maid, earning about 50.000 to 70.000 VND/day, but the income apparently not to be stable for the family needs, because of her ailment. As the first half of school-year, Thu Thảo needed to pay 800.000 VND for her school fees; fortunately, in the second half of school-year she was exempted to pay tuition; still to pay 300,000 VND for the cost of additional lessons in the afternoon. Although living in the poor condition, her house seems quite clean and tidy, even there is a corner of the house for her studying. There are 3 members out of 5 in her grandmother’s family, died of cancers. 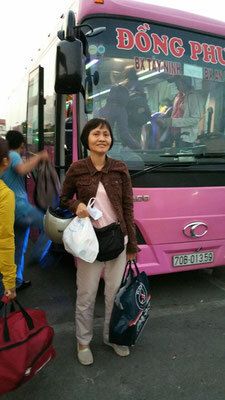 Thu Thảo’s family situation, categorized as “family in low-income”, is granted by government. 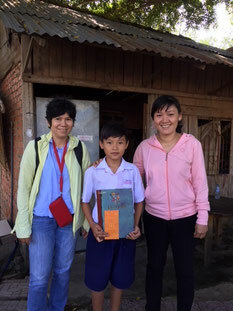 Nguyễn Xuân Khang (7th grade), and his brother is living with mother after her divorce in 2013. His father is only responsible for his children’s school fees. His mother, a teacher at Phước Thạnh Secondary School, has a pacemaker after suffering from heart disease. Their house was built with the financial help of the "Association for Promoting of Education" on her parental land. His mother makes an additional income, by packing the dry rice-paper pancakes (dry rice-paper are used to make spring rolls), earning about 10.000 - 20.000 VND per order. Trần Quốc Hào (6th grade)'s parents are divorced. This kid has received no child support from his father; then his mother left him after being remarried. Hào and his two younger siblings currently live with their grandparents who sell congee on the street. His school fee for the whole school year is 585.000 VND. Hào likes to read fairy tales and dreams to be a doctor. Dương Bảo Nam Khang (7th grade)'s father died when he was at 11 years old, and his mother left abandoned him at his age of 21 months old. Khang lives with his grandparents in his uncle's house. To support Khang, the grandmother work as helper in the kitchen of his uncle’s vegetarian street-food shop. His grandmother then earnestly asked for sponsorship to be eligible for receiving tuition. Practicing as a vegetarian, Khang likes to read books about science. Based on the criteria of the eligibility of the students' financial needs, noted in each application, scholarship monetary awards are handed over to each of the students' parents by Mrs. Ninh Hồng and Mrs. Ngọc Anh at the presence of the representative ladies of the "Association for Promoting of Education". These qualified students also received books from Mrs. Ninh Hồng's bookshelf, and little lucky money as gifts from Mrs. Ngọc Anh's mother. Our two ladies are planning their other trip to Tân Châu, adjacent to the frontier of Cambodia, to visit 4 students who are eligible for scholarship from Thạnh Đông A Primary School, as well as Thạnh Đông B Primary School. Although the tuitions are granted to students of family in low-income, still the parents are responsible for direct cost of school supplies such as uniforms, pens, notebooks, etc. Families in mere subsistence living relatively failed to provide the least expenses for the sake of their children’s education, except for their family basic needs. 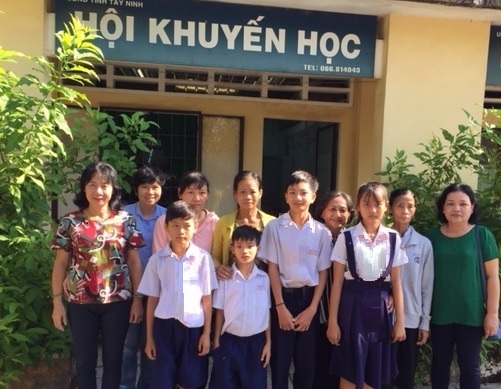 Overall, these eligible students all have dreams about their own future in different nuances; some tend to dream big as being doctors - in the case of Quốc Hào, others love to pursuit careers in artistic fields as the case of Dương Bảo Nam Khang; as of Minh Khánh who already set his goal in careers, such as catching robbers, thieves, and crook like "Benny Breakiron", a character illustrated in the comics books that he received from donation. However, the rest of the kids tend to stay within their simple dreams as being helpful members to family and the society. Your generosity and vigorous support profoundly help the orphaned and disadvantage children reach their full potential, and give them the confidence needed to change their life. Let them know that someone cares and they are not alone. Please help us to make these dreams a reality!